Let’s put the Green Belt at Kempton Park in context. The entire estate at Kempton Park, owned by The Jockey Club, is Green Belt. That includes the eastern part of the estate, on which the documents show they are proposing to build this very big housing development. It also includes the race course itself, and all the attendant buildings and areas on the western side which are needed to run a horse-racing operation at Kempton Park – the grandstand, the stabling facilities, the car park, etc, etc. These buildings, on Green Belt, are allowed to be there because they are part and parcel of the horse-racing operation. 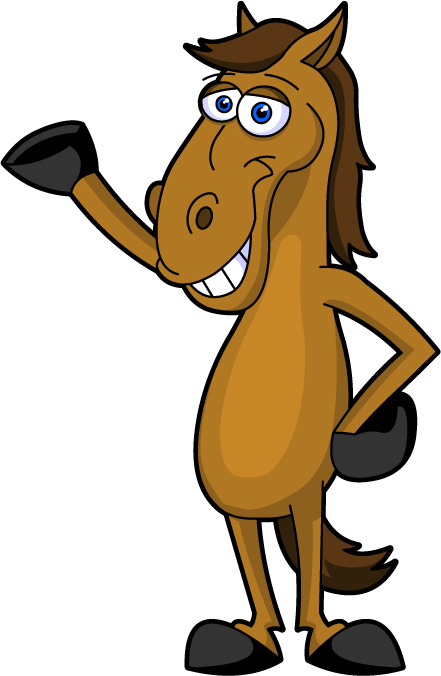 If they were to be replaced by other buildings – residential buildings for example, or a commercial building such as a supermarket or a hotel – not related to the operation of the horse racing operation, then that would be contrary to Green Belt policy in Spelthorne. That would be the case even if the new (not-racing-related) buildings were on the footprint of the old (racing-related) buildings. Such changes should only be allowed in “very special circumstances”. KKG Document 18 attached shows, in red, that part of the Kempton Park estate upon which, previous documents we have circulated show, the proposed housing development would be sited. Document 18 also shows all the other Green belt sites in Spelthorne (the four large reservoirs are show in a slightly lighter shade of green). We’ll return to that in a moment. KKG Document 18b shows that red area at Kempton Park in the context of the Green Belt on the western side of London. As you can plainly see, it really is on the front line. The inside edge of the London Green belt has had huge chunks bitten from it over the years, until the present situation where it resembles a coastal archipelago, our, at the risk of overusing a current metaphor, the last flood defences against the one-way incoming tide of high density urbanisation flooding out from central London. KKG Document 18a shows the red area at Kempton Park in its immediate context. It doesn’t stand alone. It is a substantial part of a local chain of Green Belt, and must be considered, for all the local ecological and environmental reasons, as part of that larger context, which includes Green Belt in the neighbouring boroughs of Hounslow, Richmond, and Elmbridge. So, the Green Belt at Kempton Park is not just an issue for those most closely situated to it. It is on the front line of the Green Belt around London, it is important in a more local context. And within Spelthorne, it could have huge implications if it were to be built upon. Returning to KKG -Document 18. A number of residents have been told that, should the development at Kempton Park be approved by Spelthorne Council, it will be a “one-off”. It would be most entertaining, if it weren’t so sad, to watch Counsel for Spelthorne Council answering that one. So this isn’t just a Sunbury matter. Look at KKG – Document 18. If any of the other pieces of Green Belt in Spelthorne are important to you, then this is your issue too. We – and a number of residents who have made their own enquiries – have been told by representatives of Spelthorne Council that “no Planning Application for Kempton Park has been received”. But you can plan without putting in a Planning Application. Indeed, submitting an Application is a step quite far into the process of any development. The documents we have circulated so far give some idea of the substantial amount of planning work that has already been done, particularly with regard to the traffic spill-over that will result from building a suburb of the size that has been discussed amongst the various participants in this project. Anywhere from 1000 to 2000 dwellings (depending on whose correspondence you read) will generate a lot of extra load onto already overburdened roads. This work has been in train for some considerable time. So far, the earliest date we have been able to establish with any certainty is 21 March 2012. Attached (KKG Documents 19 and 19a) are the Agenda and Information Pack relating to a Tour of Kempton Park made by representatives of the Council, The Jockey Club and Kempton Park that afternoon. Attached (KKG Documents 12 and 12a) are a legal agreement and an associated map drawn up between Spelthorne Borough Council, and two bodies associated with horseracing: The Horserace Betting Levy Board (a statutory company established to promote the sport of horseracing, whose funding comes from a levy on the horse racing business of bookmakers) and Racecourse Investments Limited, a Jockey Club Company. This agreement – the Covenant – is the one referred to in the letter which Kempton Park distributed to residents of Lower Sunbury in November. 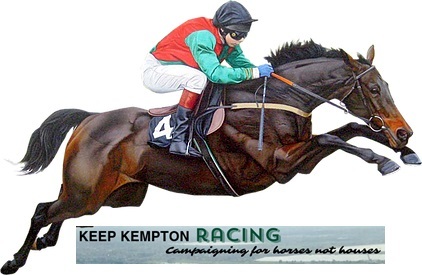 It was drawn up in 2005 after Spelthorne Council disposed of its leasehold interests at Kempton Park. The agreement expires in 2030. The important section of this agreement for our purposes is in Schedule 1 starting on page 12. If the two parcels of land outlined in green on the map are developed before 2030 (the Trigger Event) then the three parties to the agreement will be entitled to one-third each of the increase in the value of the land. These two parcels of land sit right in the middle of the area which is proposed for development at Kempton Park (see KKG – Document 6 distributed earlier). It appears that there were protracted negotiations last year between Spelthorne Council and The Jockey Club concerning the sum of money flowing from this Covenant, and other sums of money required for the redevelopment of Sunbury Cross and other matters. This latest in our series of messages gets a little complicated. We will try and keep it as simple as possible. Costco – the chain of wholesale cash-and-carry stores – submitted a Planning Application to build one of their stores just to the east of the Sunbury Cross roundabout. The application received widespread support at Spelthorne Council, due to the proposed store replacing currently unused warehouses on land unsuitable for housing, and due to the jobs the store would bring with it. On 4 September last year, Mark Boyes from Aspire, Development Consultants to The Jockey Club, wrote to Spelthorne Council to lodge an objection to Costco’s Planning Application (see KKG Document 17 attached). The letter includes some technical objections to Costco’s Transport statement (which later emails show to have been related to clerical errors, and easily corrected). Being Development Consultants, Aspire will be very aware that, in planning law, Costco are under no obligation whatsoever to take account of “potential future development” anywhere. In any case, it is difficult to see how they could do so in any practical way. They are required to take account of committed developments, and the correspondence shows that they did in fact take account of the developments (not yet completed) at the London Irish ground, Hazlewood, and the old Police College – all in Lower Sunbury – in their transport assessment. So what was the purpose of the objection by The Jockey Club? Why did they wish to “open a dialogue” with Costco? Could it have been that they were trying to get Costco to contribute to the large cost of redeveloping Sunbury Cross roundabout (see KKG Documents 2, 3 & 4 circulated previously)? Or some other reason? An information request was put in to try and find out, but more on that later. Another thing. If Costco were to take account of the traffic impact of “… potential future development at Kempton Park, …” (which they are not at all obligated to do) they would have to know what the size of the potential development at Kempton Park was. The traffic and the size of the development are intricately linked – you cannot know one without the other. Yet, as late as mid-November 2013, representatives of Spelthorne Council were telling residents in the following, and similar words, that “no plan whatsoever (has) been developed for the scale of housing that you allude to”. 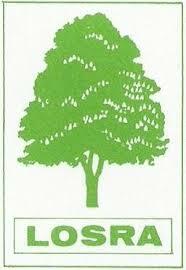 The scale being alluded to was the +/- 1000 dwellings mentioned in the LOSRA newsletter in October 2013. As it turns out, of course, that 1000 figure turned out to be a significant underestimate – see KKG – Documents 1 & 8 circulated previously. Anyway, back to The Jockey Club’s objection to the Costco Application. The request submitted, and the reply we got, are set out in KKG Documents 16 & 15 (attached). A meeting is held, where The Jockey Club discuss, amongst other things, an objection they have to the major and widely welcomed Costco development, and the record of that meeting consists of 5 sketchy handwritten lines?